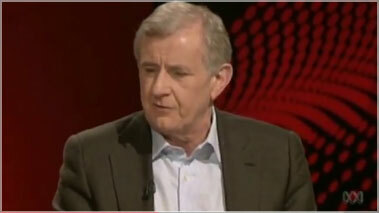 Now watch as Simon Crean attempts to beat Bill Shorten’s record of twelve "in terms of” in one Q&A episode. Modern Manglish explores the traditional linguistic traps of mixed metaphors and mispronunciation, new words and old clichés, and euphemisms, tautologies, and jargon. It also exposes the latest Manglish in serially offending professions such as politics, business, and the law. When exactly did we all become ‘stakeholders seeking to leverage our paradigms to achieve best-practice scenarios moving forward’? Alongside these are the newest contenders for the Manglish crown, ranging from sports talk to silly signs, and from food speak to fancy-pants job titles.